Our children completed their 4th Art Master lesson with the focus on Paul Gauguin from April 4th to 8th. Thank you to Bobbie Cunningham for coordinating this Program for our Gators and sincere thanks to the parents that are able to help during these 1 hour lessons. The last Art Master lesson with the focus on Leonardo da Vinci is coming up starting May 31st. Studies have shown that there are developmental benefits of art education. For instance, exposure to art develops critical thinking, visual and spatial skills, children produce creative solutions to make it work. In the younger ages, children develop motor skills and develop their language skills. The process of being inventive involves problem solving which will play a very important part as they mature to adulthood. http://www.earlychildhoodnews.com/earlychildhood/article_view.aspx?ArticleID=113. Katie Ryan who has been training all year with Bobbie volunteered to be the Art Masters Chair for next school year. Email ArtMasters.gatespta@gmail.com or go to www.gatespta.org if you would like to learn more. Next year, the Kids Run the OC Marathon will be held on May 6, 2017 and Heath McMasters who coached this year will Chair this Program. Help him make this program even more successful by being a volunteer. For more information about this Program go to www.gatespta.org. Bobbie Cunningham and Olivia Renella have been doing a terrific job of running this program. We are coming up on show time, this Friday from 6:30pm to 8:30pm at Los Alisos Intermediate School. Tickets to be sold before and after school on Thursday, May 19. Email Bobbie Cunningham and Olivia Renella at varietyshow.gatespta@gmail.com for additional questions. Thank you to Bernice Torres for booking this fundraiser at Lone Star Steakhouse for us and to all of the families who dined out with us on April 13th. The last dine out of the year is scheduled on Thursday, May 26 at Biago’s Italian Restaurant. Hope to see you there. Next year, Sonia Maceranka has stepped up to be our Family Dine out Chair. Proceeds from these dine outs support school Programs for our children. Julissa Salamanca, Claudia Weaver and Girl Scout Troop 3488 (Bailey, Alina, Kajsa, Andrea, Cate) did an excellent job running this program held on April 23rd. There were over 50 people that turned out to help. Thank you to these volunteers who worked hard in beautifying Gates Elementary: Chance Weaver, Peggy Coleman, Dolores Wirth, Victoria, Nicholas and Samantha Esquivel, Cameron Solis, Soo and Amanda Goda, Leslie Percell, Girl Scouts Troop 3268 from La Madera and Abiding Savior Elementary Schools, Ivy Glover, Julio Flores, Jennifer Soria, Noelia Hernandes, Vanesa M., Karen Maceranka, Sophie McMasters, Kaitlya, Lisa Atkinson, Andrea Zervakos, Ruby, Enzo and Donna DeManty, Ashley Nguyen, Joannie Juarez, J. K., Maria, Debbie, Maddie and Lukas Lescano, Justin Andrades, Alexander Gonzales, Lucia Calderon, Katie, Brodie and Taylor Ryan, Lily Carson and Brady Coleman. By volunteering or donating as a family, parents can raise children who not only care, but help others. - See more at: http://www.brighthorizons.com/family-resources/e-family-news/2010-teaching-children-to-help-others/#sthash.8yP2HK1p.dpuf. This chair position is open. If you are interested, please email gatespta@gmail.com. There were over 30 Spirit Wear T-shirt Designs turned in. Thank you to all of those who participated. The PTA Board and Chair members (current and new) will pick the top 4 designs at the next PTA Board Meeting, then grades K-5 will vote from those 4. It is our goal to announce the winning design at that End of Year Luau on June 10. The Spirit Wear Chair position is open. Please email gatespta@gmail.com if you are available. Huge thanks to all of the volunteers: Nancy Gomez, Bobbie Cunningham, Nancy Norris, Natalie Paffrath, Bernice Chen, Robin Schnell, Steve Martin, Maria Mujica, Brenda Thompson, Kevn Pamittan, Michelle Tiberio, Olivia Renella, Maria Aguilar, Nikki Spearman, Donna Demanty and last but not least, all of the parents who donated food, helped honor our teachers and staff with beautiful posters and those who helped decorate. Thank you to Gator dad Victor Solis for chairing Morning with Mom on Friday, May 13th. The awesome dads that helped were Ben Wirth, Eddie Hooes and Percy Torres who did such a wonderful job serving our moms and children. Additional thanks go to Gator moms: Dolores Wirth, Nancy Gomez and Sonia Maceranka who stepped in to help serve. Performance May 20th Friday, 6:30pm to 8:30pm at the Los Alisos Intermediate School Auditorium. Email Bobbie or Olivia at varietyshow.gatespta@gmail.com for any questions. 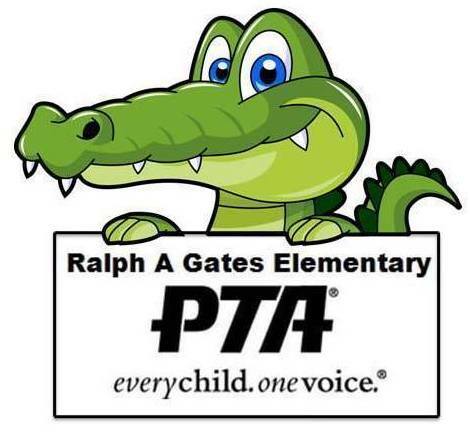 General PTA Meeting – May 24th, Tuesday @ 7:00 pm in the MPR. Childcare will be provided in Kinder Room 25. Special Safety Topic: Emergency Preparedness presented by Polly Bowen, Education Specialist from the Orange County Fire Authority. Thank you to Viviana McKeegan, School Safety Chair, for booking this presentation for us. The Imagination Machine Assembly – May 26, Thursday. On Thursday, May 26th from 11 am to 9pm we will be having our last Dine Out of the school year at Biagio’s Italian Restaurant. 15% of purchases will be given back to Gates. See you there. Artist: Leonardo da Vinci – known for his fascinating life and Renaissance times. Children will have a “life drawing” experience as they choose botanical specimens to draw with the attention to detail that renaissance artists would have used. Volunteer sign up link to be sent out soon. Thank you to Bobbie Cunningham and Katie Ryan for running this great program for our children. We are still looking for that super mom to chair this program for our Gator dads. This event will be held on Friday, June 3rd from 7:45am to 9:00am. Contact me at gatespta@gmail.com if you are available to chair. It’s time to start collecting those Box Tops from friends and family. The collection week is June 6 to June 10. To making counting them easier, please place box tops in a baggie, label it with the teacher’s name and total # of box tops. Thank you Michelle Mendoza for running this fundraiser for 3 years. She is passing the torch on to Lori Hall. This family event will be held on Friday evening, June 10. It is a PTA event to honor our 6th graders who will be graduating on June 15th. Claudia Rodriguez-Zinn, Luau Chair, has been working hard to plan this event with her committee. If you are able to volunteer your time, please text to 949-412-4875 or email gatespta@gmail.com. Short job description for most positions located in Konstella under Gates Elementary (on left) and Committees (on right) and on www.gatespta.org website. If you have a lot or a little time to volunteer to make 2016-2017 a fabulous school year for our children, please contact Cynthia Solis @ gatespta@gmail.com or (949) 412-4875. PTA programs will be in danger of being cancelled if there is no one to chair it. Please reply before the last day of school, June 16, 2016. Gates PTA has started using the messaging system called REMIND. This tool will not record phone numbers and short text reminders of PTA events will only be sent out the day before an event. See flyer in Forms section of Gates PTA website for more details.